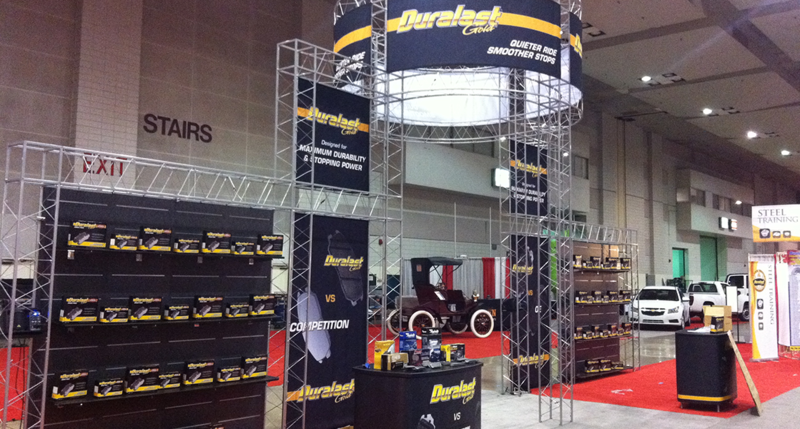 The overview was a massive layout which was separated into Autozone’s five flagship product categories for the Duralast brand. 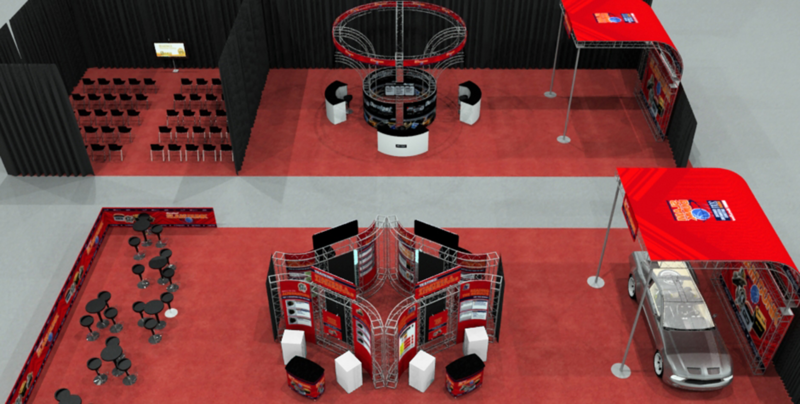 Structure was contracted to develop a layout for Autozone’s National Sales Meeting. 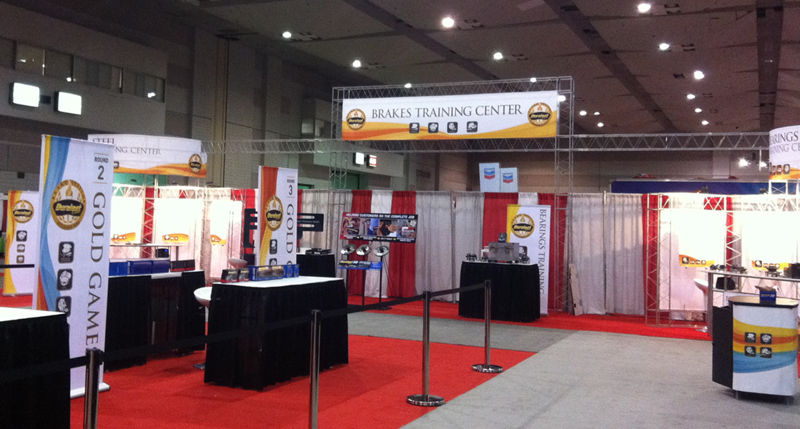 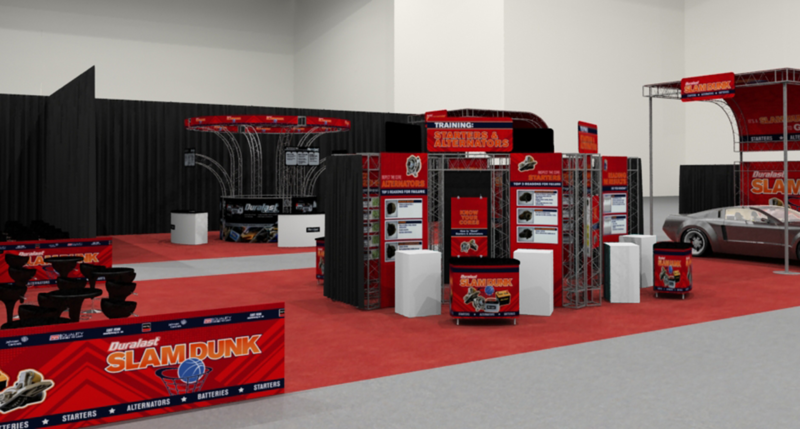 The format was large exhibit spaces with multiple work stations which Autozone’s Trainers would teach hundreds of managers (flown in from around the country) about the new Duralast Brakes, Starters, Alternators, Batteries and clutch products. 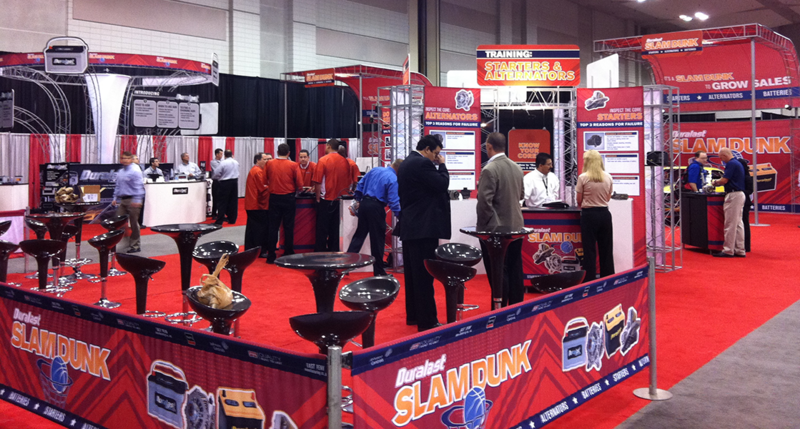 The floor space consisted of (1) 110×90 space, (2) 30×70 spaces, (1) 30×30 space and (1) 20×30 Space. 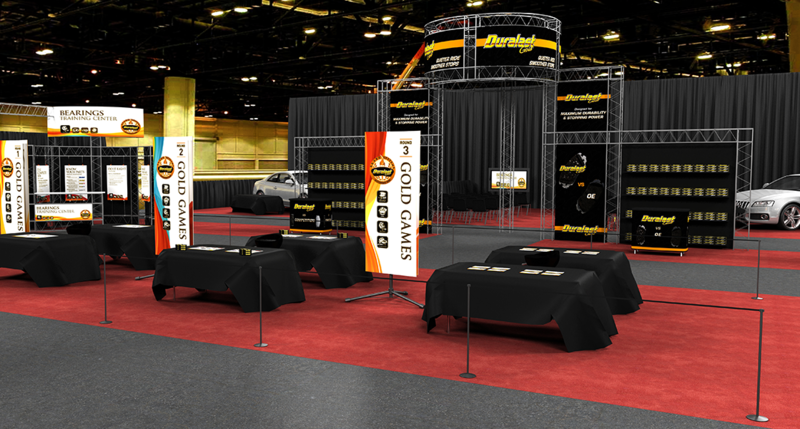 Working with Flux Branding out of LA, we were able to create these spaces into “sports” themed environments which developed into interactive games centered around the Olympics and Basketball.